The aim of this Technical guide No. 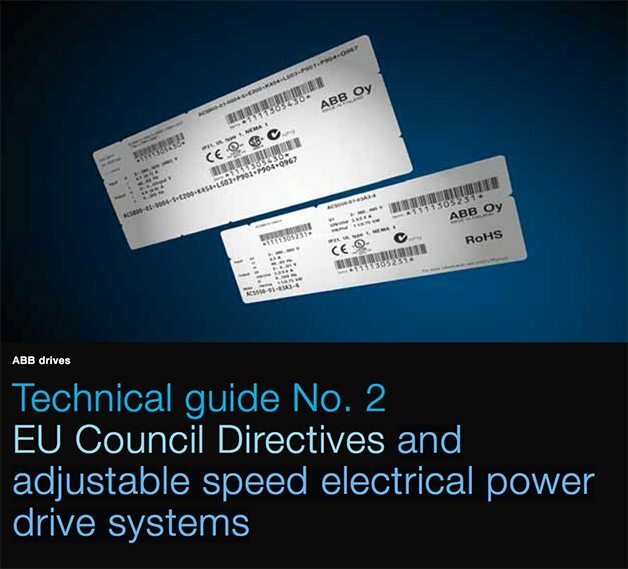 2 is to give a straight-forward explanation of how the various EU Council Directives relate to power drive systems (PDSs). For an explanation of the terminology of PDSs, see pages 21 and 22. While Electromagnetic Compatibility (EMC) is the subject of most concern within the industry, it must be realised that the EMC Directive is only part of the overall EU initiative on common safety standards. 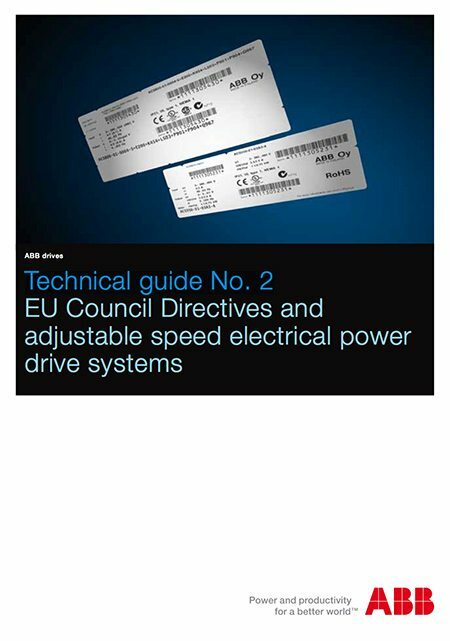 It is the intention of this guide to offer users of AC or DC power drive systems – whether machine builders, system designers, distributors, OEMs, end-users or installers – some clear practical guidelines and courses of action. What are these EU Council Directives? It is important to realise that EMC cannot be divorced from other European legislation. So before answering this question, we need to look at the other legislation and how it affects the purchase and installation of drives. Quite simply there are three directives that mainly affect a drive’s safety against risks and hazards. How does EMC affect me? From January 1, 1996 the EU Council’s Electromagnetic Compatibility Directive (89/336/EEC and it’s successor 2004/108/EC) has been compulsory. It applies to all electrical and electronic equipment sold within the EU and affects virtually all manufacturers and importers of electrical and electronic goods. I’m very bless we have a site like EEP it help’s a lot in my work and my continuous education as an Electrical practitioner. More power and God bless to all who contributed in this site…..